Lots of opportunity for kids two and older to discover different occupations. 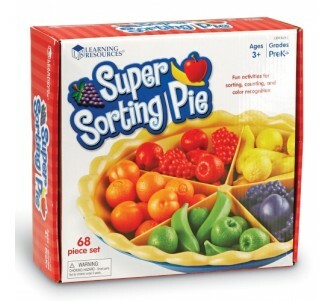 Develop counting, sorting, and problem-solving skills. Encourages storytelling and creative, imaginative play. Plays perfectly with the Melissa & Doug Jumbo Activity Rug! Keep playtime rolling along with this wooden set that includes a city bus, bus stop, and 12 play figures (decorated on both sides), ready to get to work! The bus driver can carry up to three passengers (each 60 mm tall) at a time in the approximately 13cm wheeled bus. There’s a covered bus stop, and lots of opportunity for kids two and older to discover different occupations, as well as develop counting, sorting, and problem-solving skills. This set, crafted of solid wood, encourages storytelling and creative, imaginative play. 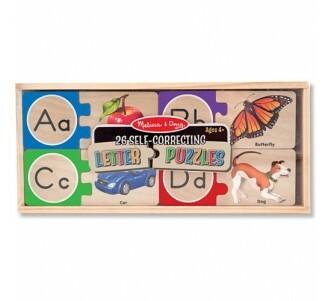 It also plays perfectly with the Melissa & Doug Jumbo Activity Rug!